I agree that Somali translations would be very helpful. Columbus, OH has a huge Somali population and it is very difficult to find materials to send home to parents in their native language. I appreciate the information and it will be helpful for me, my students and their families. I teach special education and currently work as a resource teacher for third and fourth grade. When I use it for my students, I will change the word "parents" to "families" and then "Kindergarten" will be changed to "their student". The change will read "Tips for families and their students". This will help remove the stigma for my fourth grade students that have reading abilities that correlate with tips associated with the tip sheet that is labeled "Kindergarten". thanks so much for this information. 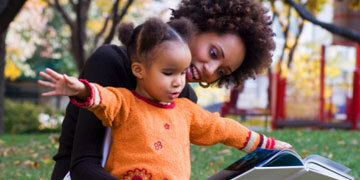 It will assist our parents in helping their children become successful readers. Your wesite is filled with invaluable information.